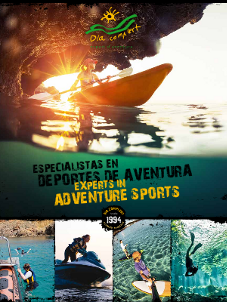 Dia Complert Esports is one of the names of the begginings of the adventure sports in Spain. 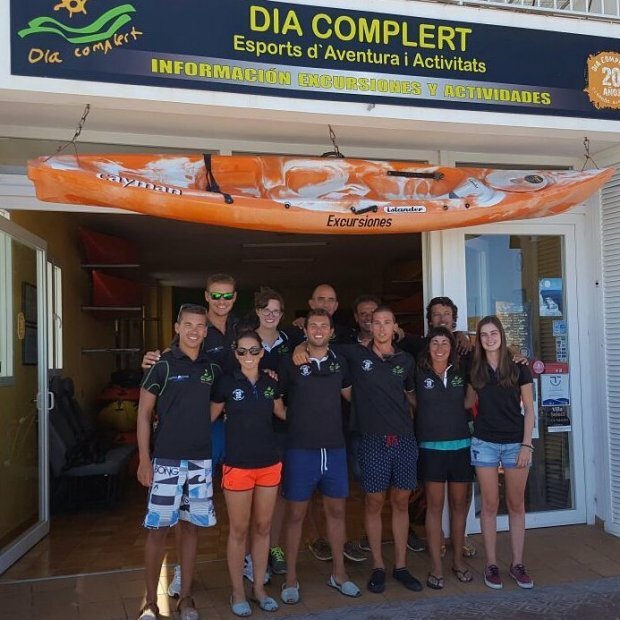 Pioneer in Menorca from 1994, Dia Complert Esports it was the first sports and adventure center in Menorca, offering activities as hiking, mountain bike excursions and kayaking routes. Along these years we have increased aour services with new activities as snorkelling, flyboard, jet ski, boat trips, wood raft, sportive material renting, paddle surf and multiadventure packs. The aim of Dia Complert is offer the best excursions with best quality material and a well qualified team. We do not forget the safety and we have lifeguards with boats and rescue jet ski for this that are in control for the progress of the different activities. We have activities specially designed for individual people, couples, groups, companies, school groups and summer colonies. A combination of activities designed for enjoy the best your holidays in Menorca. Dia Complert - Esports d'Aventura i Activitats, C.B. A program of activities for you enjoy the most your holidays in Menorca.